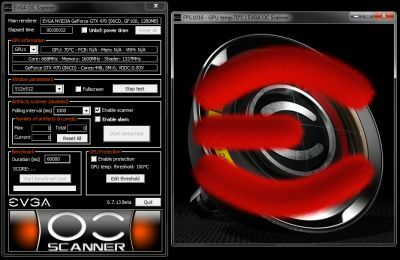 EVGA has released a new version of OC Scanner, their brand new graphics card overclocking tool. Combined with EVGA Precision, the OC Scanner allows to find max values of clocks speed (by detecting graphics artifacts) that allow a stable working of the graphics card. The stress test part of OC Scanner is based on FurMark engine. For more information about EVGA OC Scanner, just visit this page.